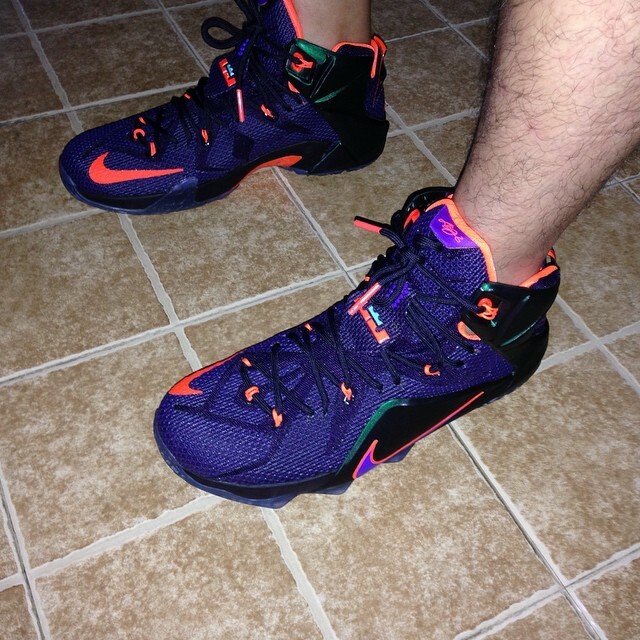 By now, you’ve probably seen plenty of looks at the LeBron 12 on WearTesters.com including an articles on the Nike LeBron 12 ‘Instinct’ HERE. 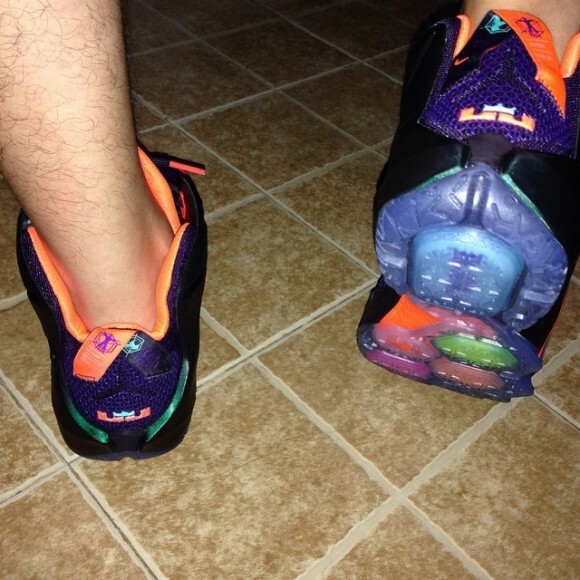 With that said, we finally get a decent look of the silhouette on-feet, as you can see below. Something that’s eye-catching is the fact that the heel zoom unit protrudes a lot compared to the forefoot units. 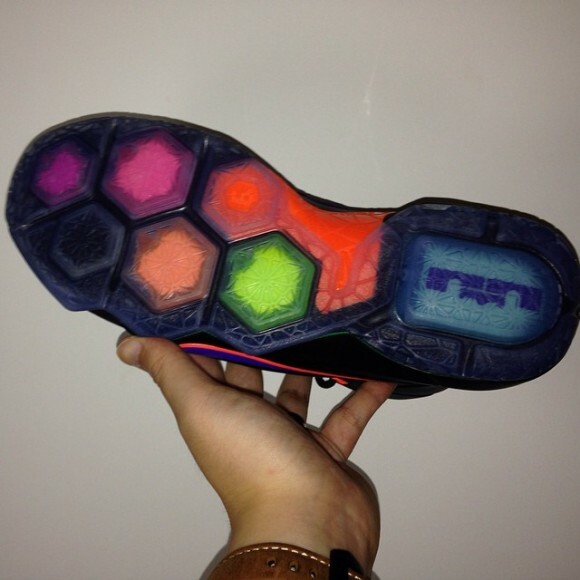 Comparably, some of the Jordan products including the XX8 have a forefoot zoom unit that sticks out. Let us know your thoughts on the images you see by commenting below. Also, are you more of a forefoot runner or do you plant first with your heel? 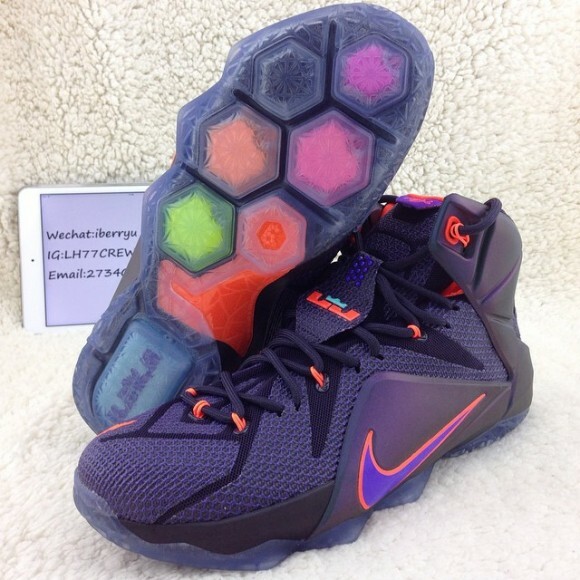 I can’t wait for the LeBron 12’s Honey nut Cherrios! I wonder what is that #6 on the sole stands for? Knowing he already said he’s gonna be back with the #23 with the cavs…. These were designed before the 11 released, he made the decision to change numbers afterward. Production and molds had been created long before. SO this shoe is outdated and could have been released months ago? I’m pretty sure companies have the next model already in the works a lot of the time before the previous model even comes out. I think they would have started working on these before the 11s came out. That doesn’t mean they’re outdated, that’s just how they do it. I assume it takes a lot of time with R&D and wear testing to make and release signature model shoes like this. That air unit in the heel looks way to far out from the rest of the shoe it’s like a extreme reverse of the Jordan 28s forefoot unit, but farther out? Idk seems like a easy way to tweak your ankle? the toebox looks really roomy compared to the 11s. I actually like the outsoles more than the upper. I think not wearing socks with shoes is gross. the only time i feel no socks are fine are with flyknits. Why there is a Jordan logo on the heel pic no2 ??? Am I the only that noticed it?? 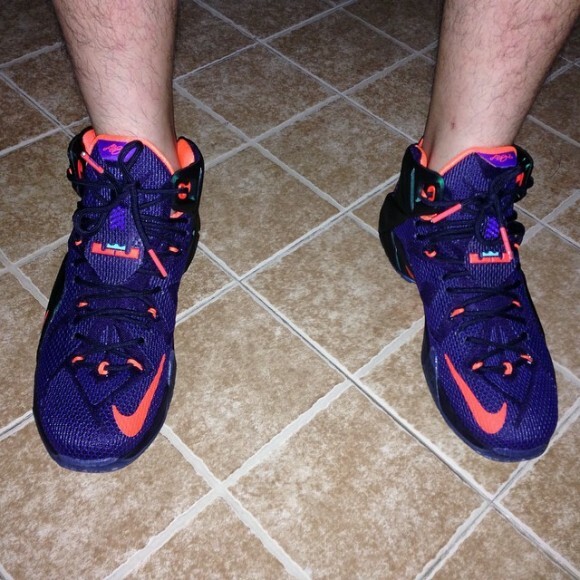 Like a disco ball the outsole..
he could be using a ‘below the ankle’ socks….like the ones i wear when I rock my shoes with shorts because it helps emphasize the silhouette of the shoes more.